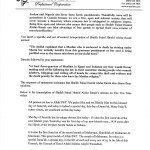 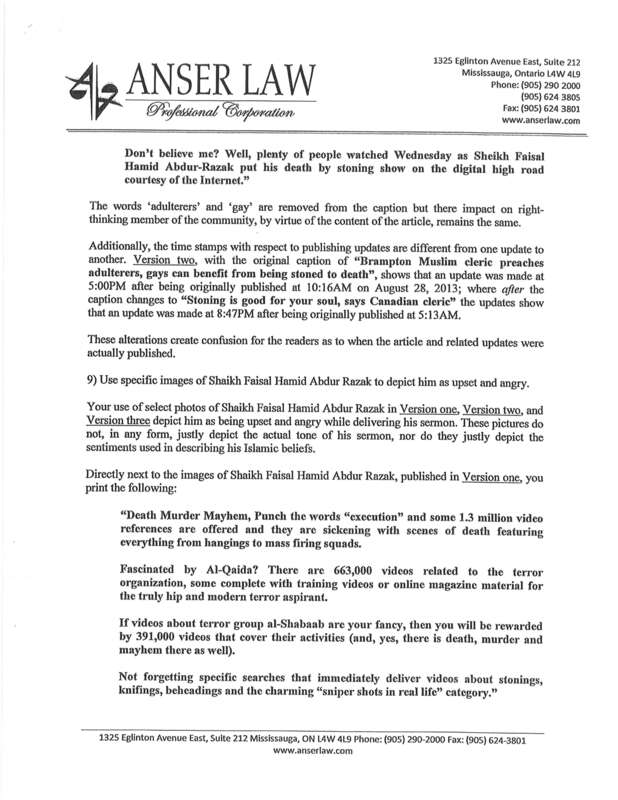 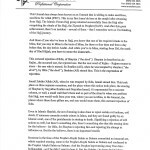 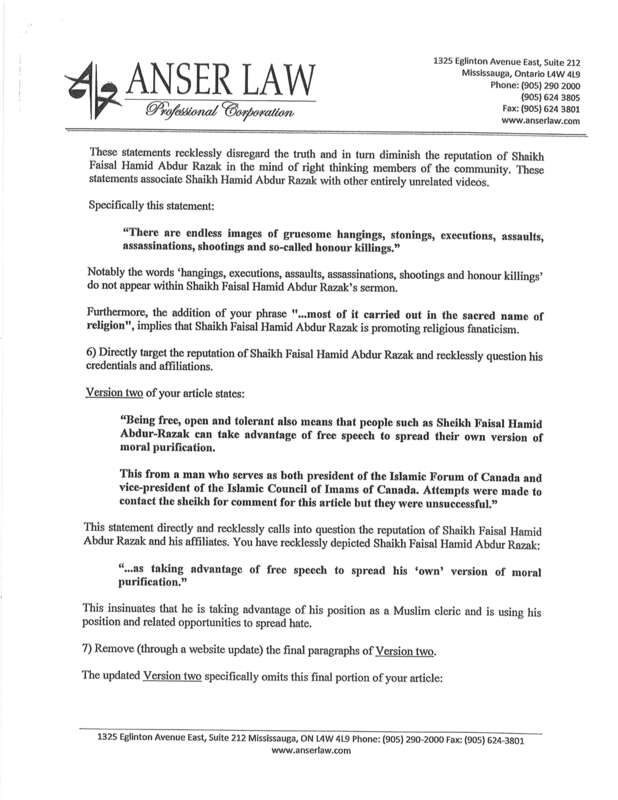 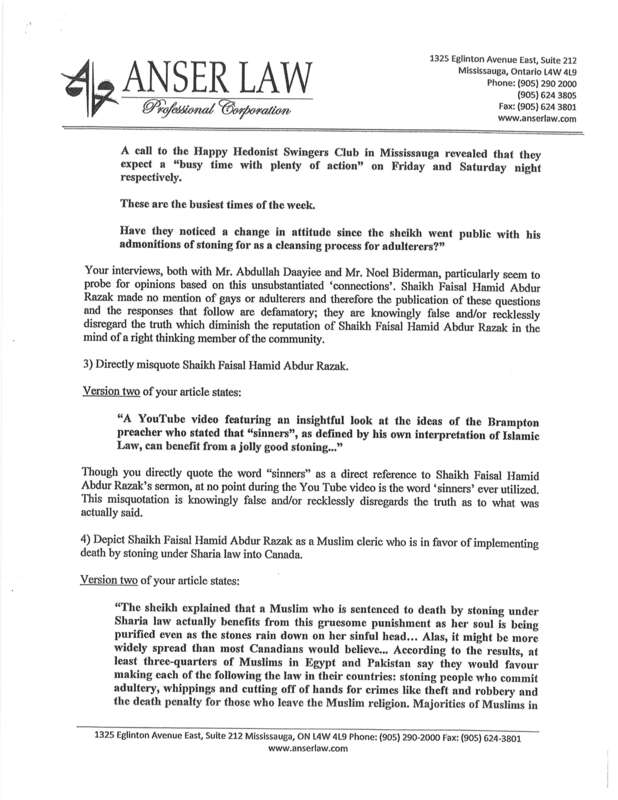 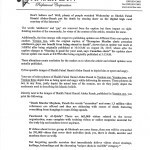 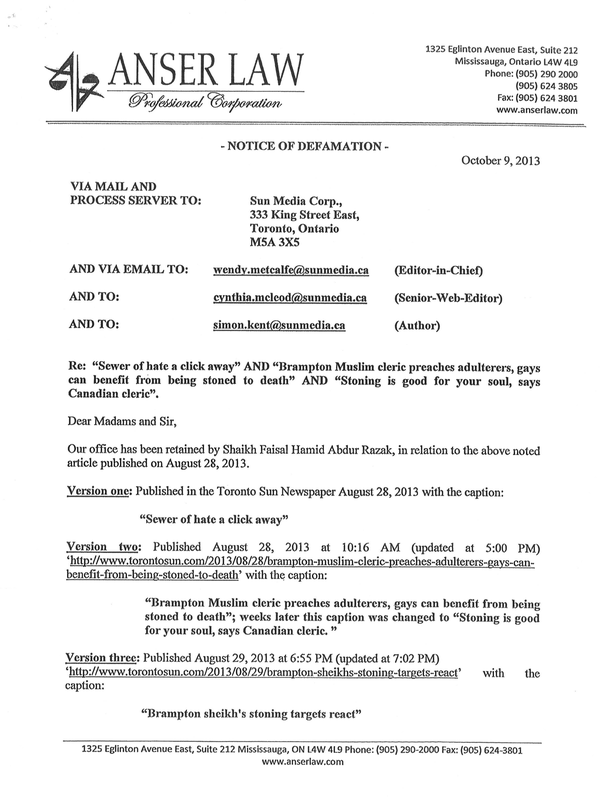 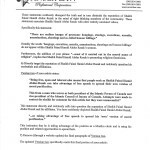 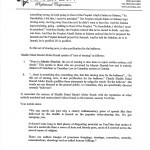 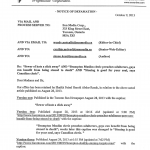 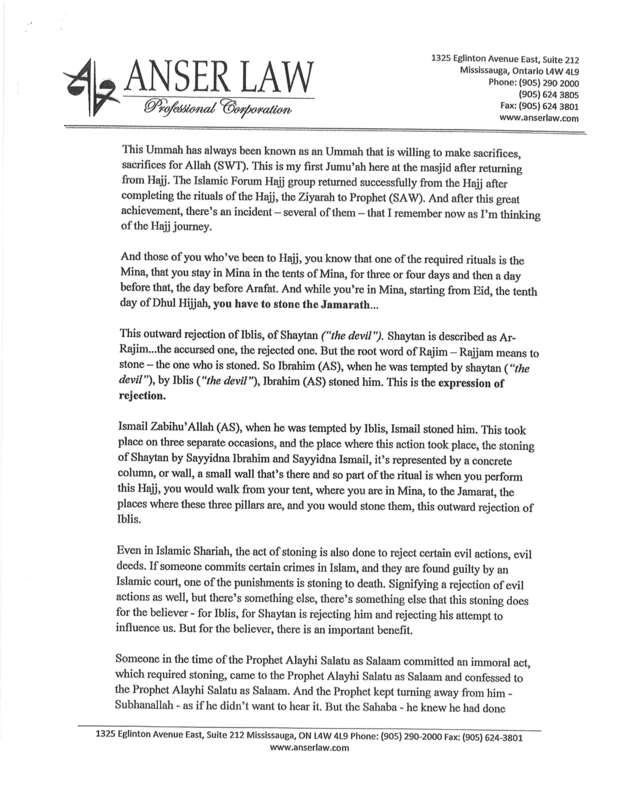 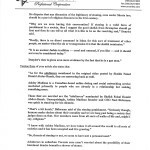 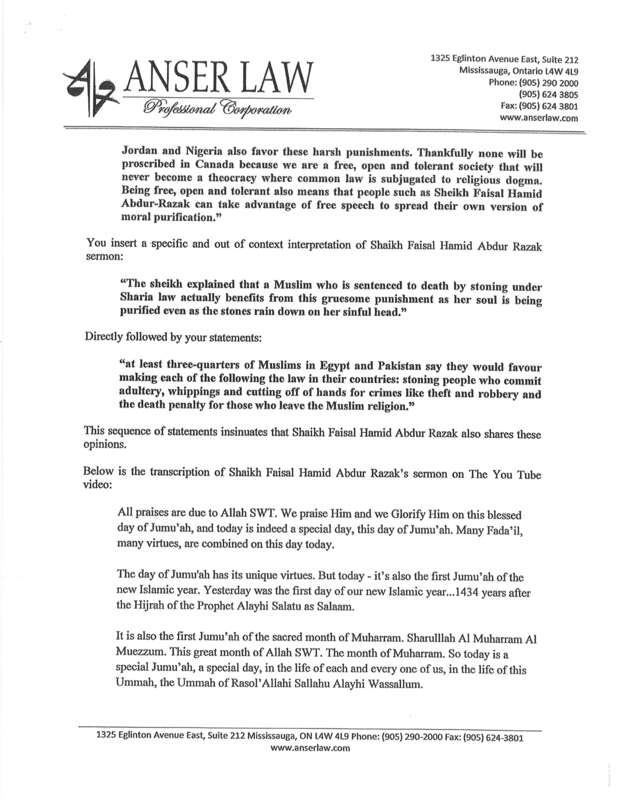 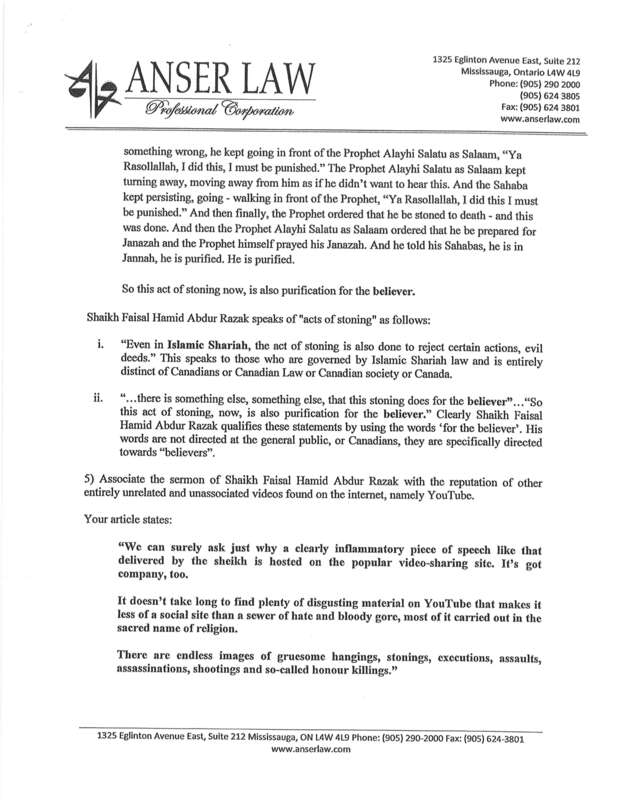 Shaikh Faisal has retained a lawyer to fight the defamation of his character by the Toronto Sun. 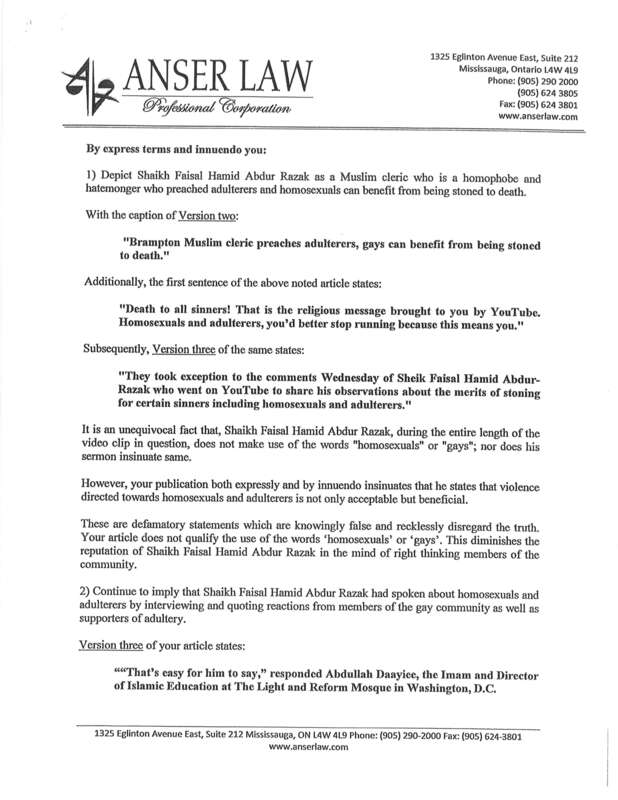 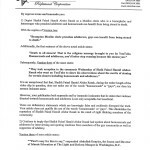 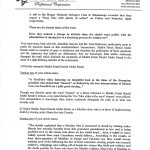 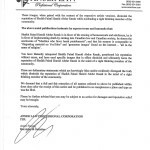 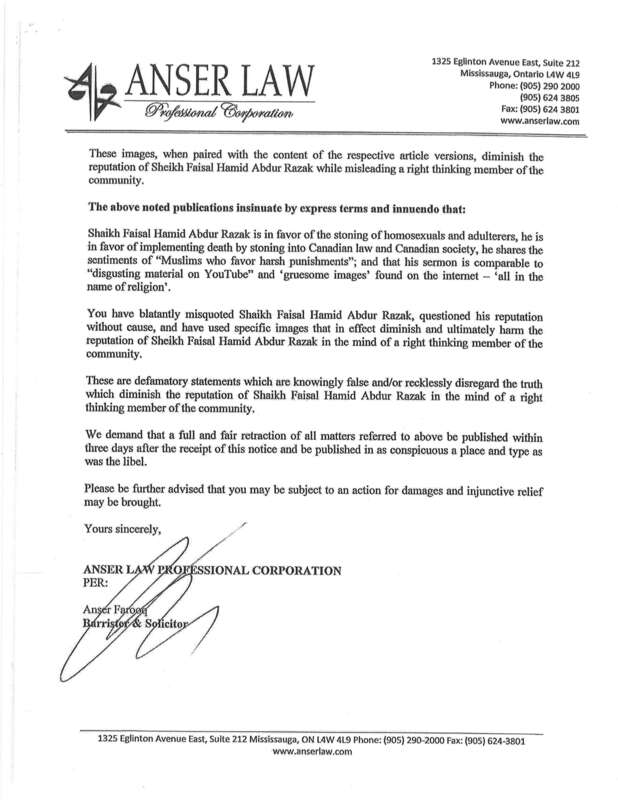 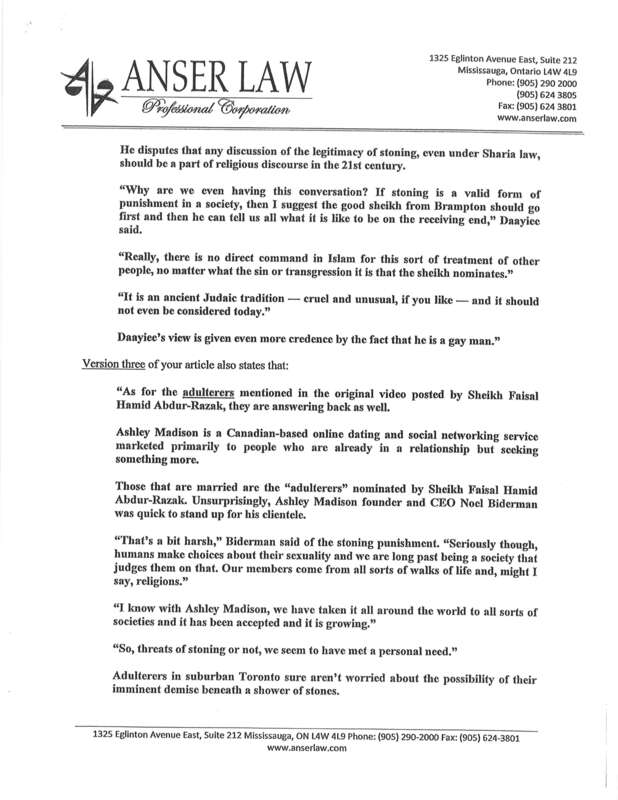 Below is the notice of defamation sent out by Anser Law (www.anserlaw.com). 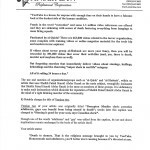 To leave a comment please click here.